Manang Air is one of the leading Helicopter Services provider in the public and private sector. Since its establishment in 1997, it is operating different kind of Heli Services within Nepal and Trans-border countries like Bhutan and India. 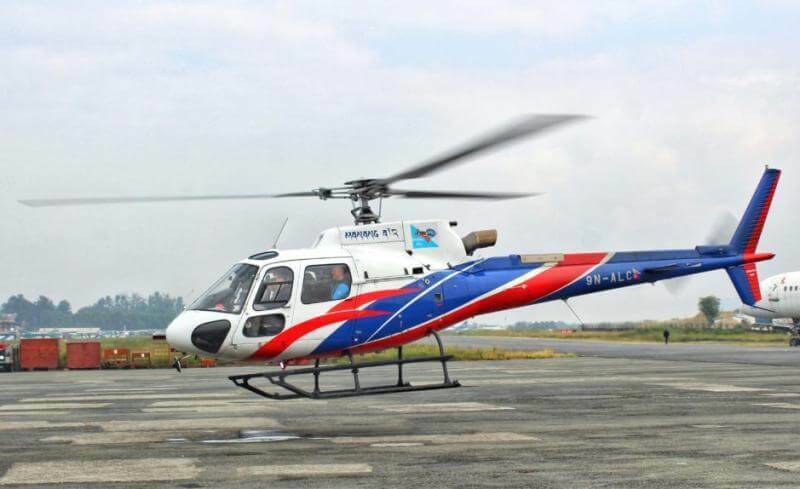 It has obtained the certification for commercial helicopter under the Regulation of Civil Aviation Authority of Nepal. Manang Air presently has a fleet size of two units of AS350 B3e (H125) series helicopters acquiring Nepalese Registration of ‘9N-ALC’ and ‘9N-AMV’. The helicopters are supported by Turbomeca 2D1 engines especially for high altitude performance. This is the trustworthy helicopter Company for all kind of Heli services from low to high altitudes. The experienced team members and pilots make the company more reliable. This company is also operating medical evacuation, rescue, expedition work, helicopter excursions and many other heli services in Nepal.